HUMBOLDT – Once again, it is time to celebrate that which nourishes us – locally produced food. 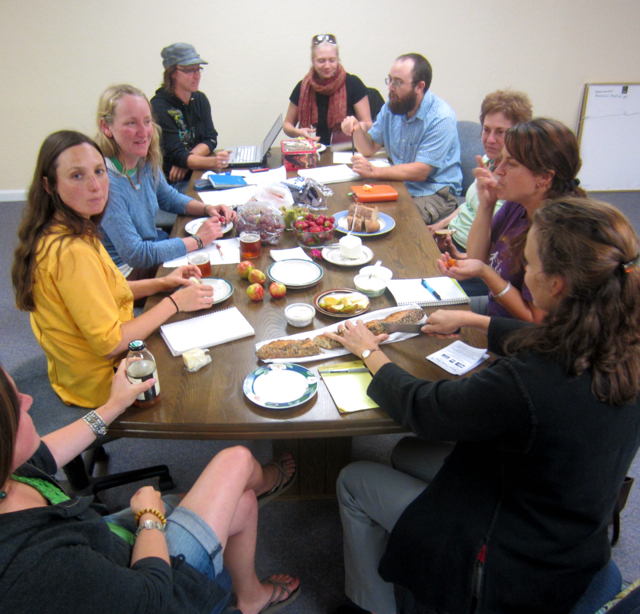 For the fifth year, Community Alliance with Family Farmers (CAFF) has partnered with the County Board of Supervisors and Eureka and Arcata City Councils to have September declared Local Food Month. Local Food Month is a county-wide celebration of local food, local farmers and local abundance, intended to raise awareness of agriculture and healthy food systems in Humboldt County. Throughout September, a series of events provides opportunities to enjoy and learn about local foods and the people who produce them. Many of the events are free. Each event brings people together to share food and fun in support of Humboldt County agriculture. • Sunday, Aug. 28. Northcoast Co-op’s second annual Localize It! Festival in Eureka. Featuring food, music, games, farm booths and an opportunity to sign up for the Eat Local Challenge. Noon to 4 p.m.
• Sunday, Sept. 4. Seed Field Day. Farmers and gardeners interested in organic seed production will learn important skills and connect with experienced growers in Humboldt County. Hosted at Garberville Community Farm 934 Sprowel Creek Road. 9:30 a.m. to 5 p.m. Call (608) 957-4829 for information. • Saturday, Sept. 10. Savor the flavors of the season with a fresh produce tasting at the NCGA Farmers Market. CAFF tasting runs from 10 a.m. to 1 p.m.
• Saturday, Sept. 10. Humboldt Fun Club, Community Alliance with Family Farmers and The Greenhorns bring Tour de Farms: a farm tour and bicycle parade. Participants should meet on the Plaza between 4:30 and 5:30 p.m. Bikers will then ride to Redwood Roots farm for a country-fied fashion show and tour followed by a local foods dinner and outdoor screening of the Greenhorns documentary. • Sunday, Sept. 25. Farm tour at Earthly Edibles Farm in Korbel. Farmer Ed Cohen shares the story of his organic farm, dry farming techniques and recent adoption of the Community Supported Agriculture (CSA) model. The tour begins at 2 p.m. and features samples of farm-fresh produce. Directions can be found at facebook.com/EarthlyEdibles. • The festivities culminate at the North Coast Co-op Eat Local! Challenge Potluck on Sunday, Oct. 2 from 5 to 7 p.m. at the Bayside Grange. Participants in the Eat Local! Challenge can share their favorite dish in this potluck style celebration and contest. Stop by the Co-op to pledge your commitment for the month and receive a 2011 reusable tote bag. Visit caff.org/humboldt or call CAFF at 826-0233 for a full listing of events. This entry was posted on Tuesday, August 30th, 2011 at 6:49 pm	and is filed under News, Community, Environment. You can follow any responses to this entry through the RSS 2.0 feed.